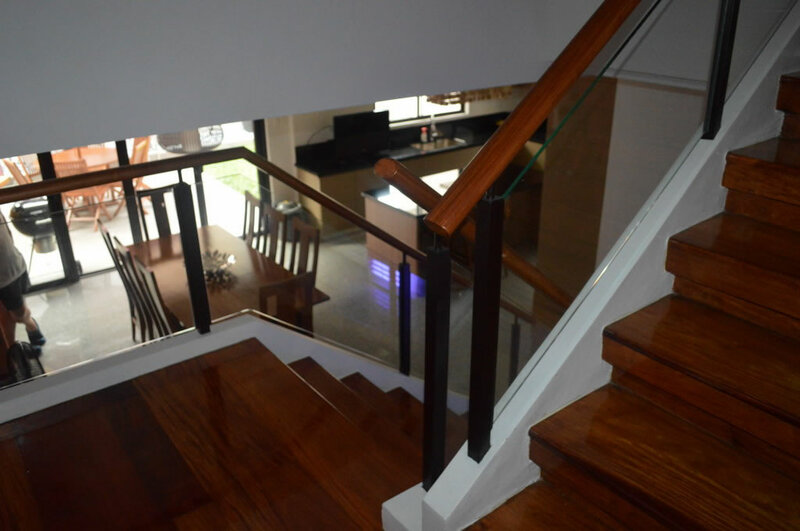 It is an old house renovate to a new look with an accent of Modern. 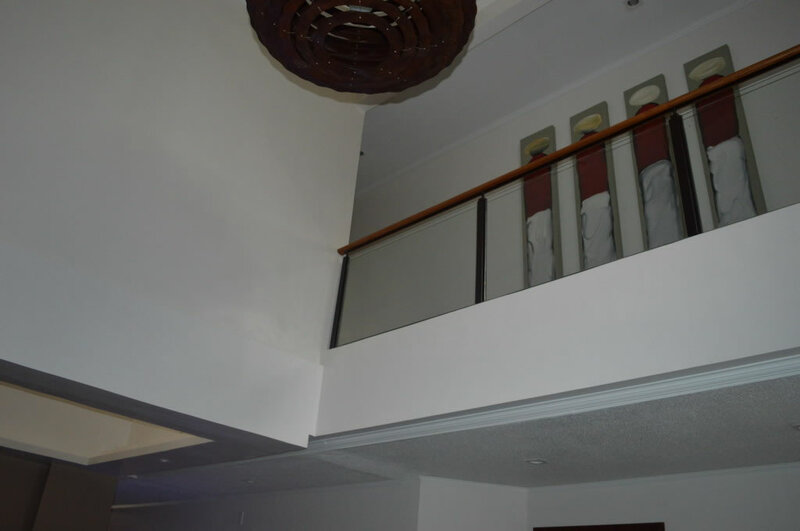 We work on their Stair and Shower Enclosure use of Tempered Glass and Wrought iron Frame. 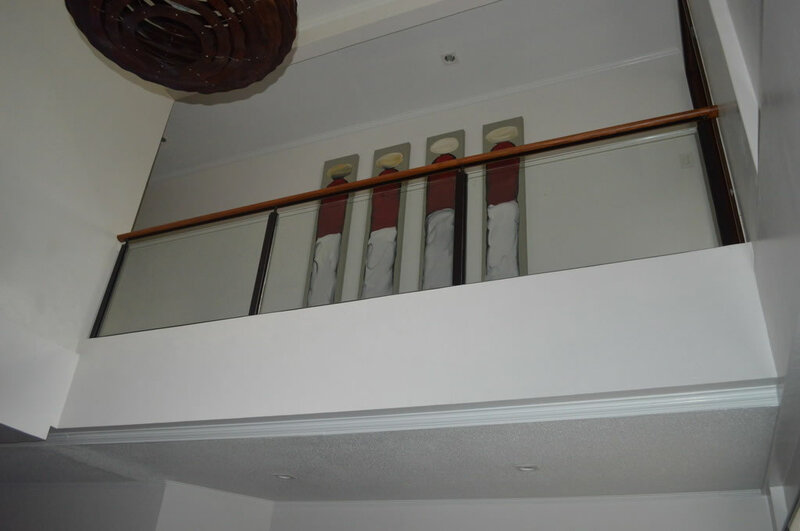 Materials are 10mm Clear Tempered Glass, Square Tube for the post with U-Channel for as glass holder and Round tube neck to hold the top rail and a solid wood handrail by our client. 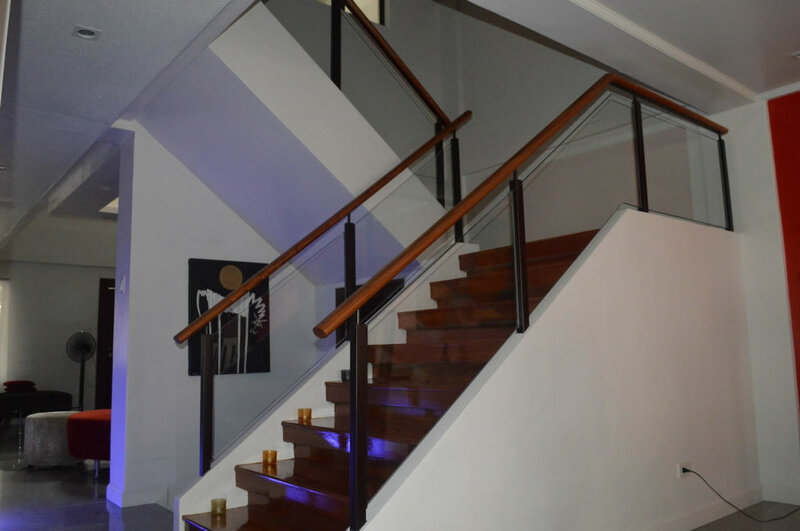 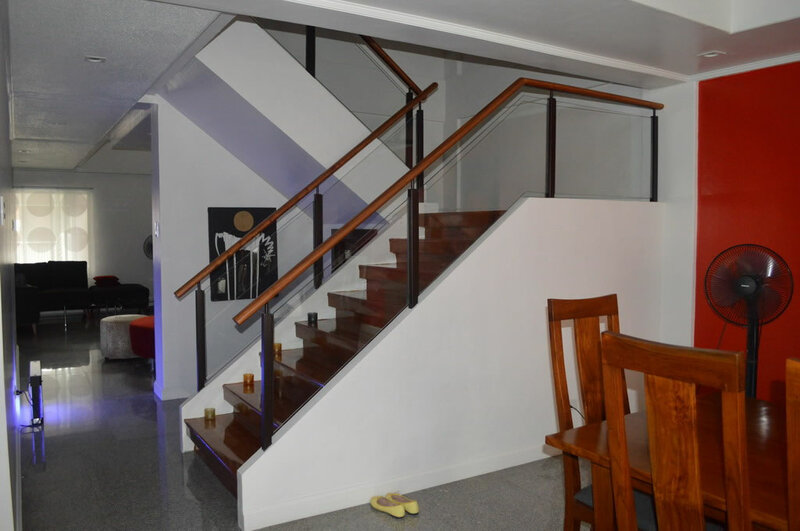 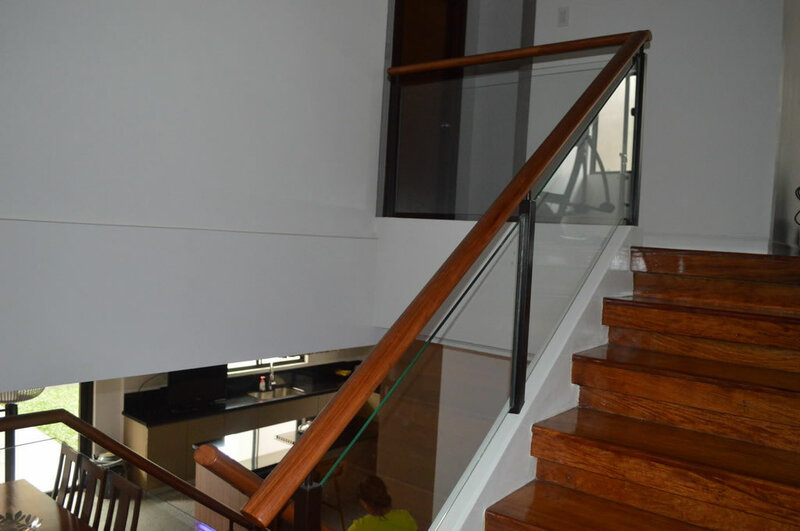 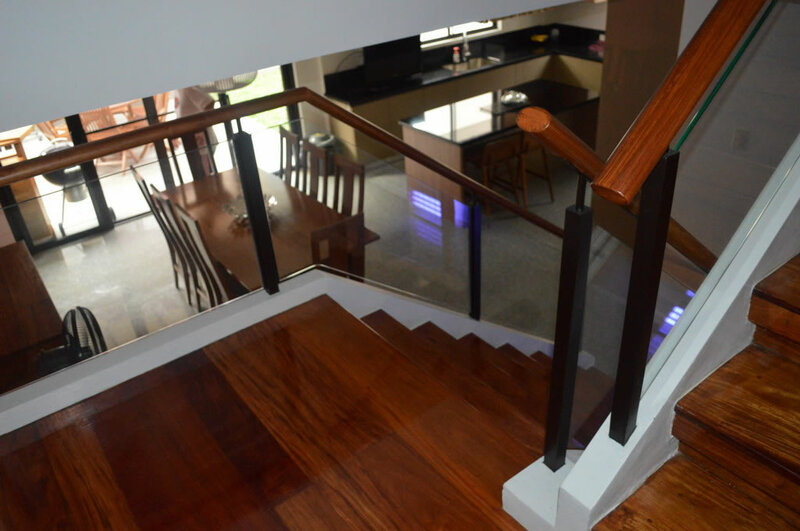 Glass Railings Philippines is a manufacturing company that designs, fabricates and installs wrought iron, stainless and aluminum grills and glass products.